November 5, 1937, his first production - aviation gasoline - produced Berdyansk cracking plant. From this day the history of the plant "AZMOL" began to count down. What did not survive the company in the past 80 years: gray weekdays and bright holidays, the joy of victory and the bitterness of failure, the rise to the heights of glory and the precipitous drop that almost cost the plant of its very existence. For a long history, "AZMOL" has experienced not one rebirth. The enterprise changed the name several times. 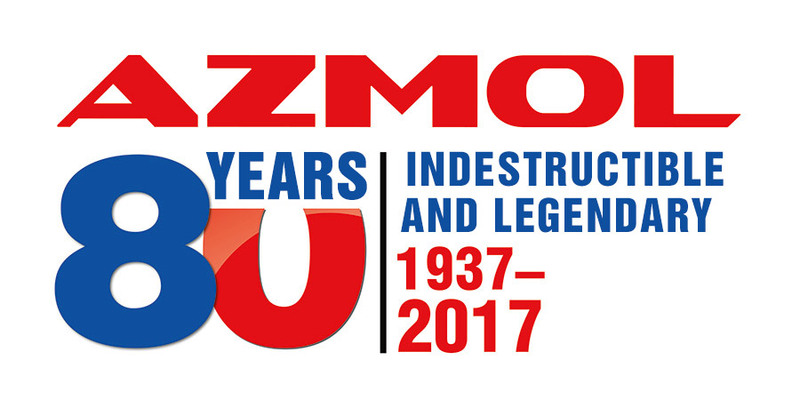 In 1937, the plant received its first name - the Berdyansk Cracking Plant of the People's Commissariat of Fuel Industry, and in 1994 received the current abbreviation AZMOL - Azovsky Mastila. During the Second World War, the plant was evacuated to Krasnokamsk for three and a half years, where it continued its work. After the restoration of the factory, the production of the plant and the work of the collective were repeatedly awarded with the highest state awards. The enterprise successfully survived the crises of the 90's, but the decline that began in 2010 gradually led to bankruptcy in 2015. Thanks to British investments to the 80th anniversary of the enterprise, they have resumed their production activities, carried out restoration work and modernized the process of manufacturing motor oils. The revival of international trade relations of the enterprise also began. In the spring of 2017, the products of "AZMOL-British Petrochemicals" returned to the markets of Azerbaijan, Uzbekistan, Turkmenistan. In the summer, delegations of wholesale buyers from Turkey and Iraq, Afghanistan and Pakistan, Saudi Arabia and Kazakhstan visited the factory. Partners from Estonia and China show interest in products of the Berdyansk plant.